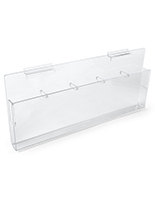 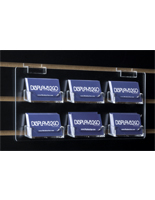 This acrylic commercial flyer rack is constructed of durable plastic, which makes it a great buy! 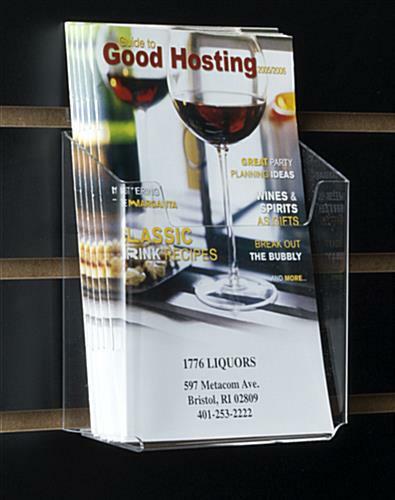 This single pocket magazine holders system fits 5-1/2"w flyers and is designed to attach to slatwall panels for easy moving around. 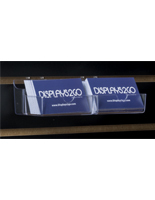 This acrylic commercial flyer rack, such as a pamphlet fixture, is clear, so contents are readily visible to customers. 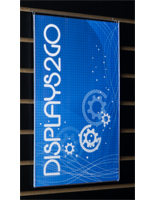 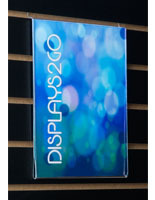 This display for a wall is an affordable business solution, and when purchased in bulk, the savings is huge! 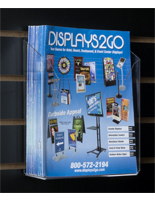 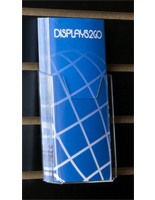 This acrylic commercial flyer rack that is a magazine holder is a must-have in any retail showroom or office setting. 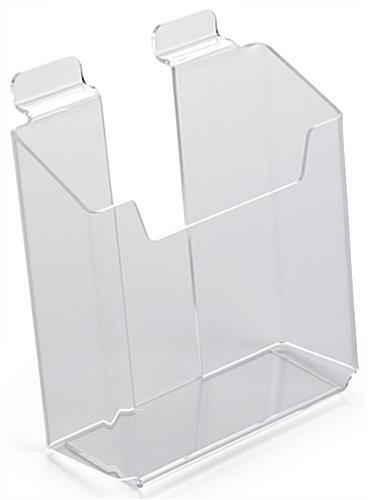 This product is exactly what I'd hoped it would be. 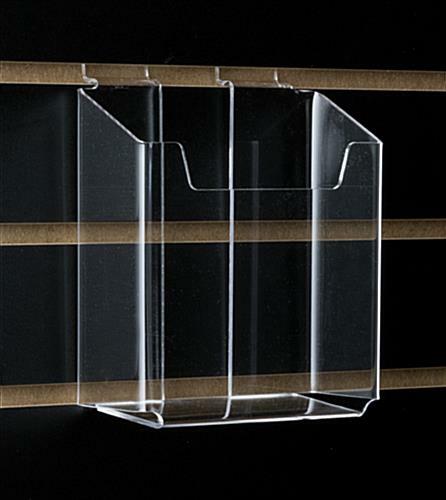 It was shipped quickly and worked perfectly.